Good value, functions as expected. Simple low-cost card reader solution. Tested with a Class 10 SDHC 32GB micro SD card and works well. Used for embedded boot-from-USB projects. The SD card does protrude from the end of the slot though. For those looking for a flush solution, you'll need to look elsewhere. Lightweight but little funky. If you need a SD card reader for cheap, this is the best item for that. Bit slow when transferring data, but works fast enough. I used this with arduino and it fits the job perfectly! I've tried several types of these micro-SD to USB adapters and all sucked. Most only worked 1 out of 10 times, some broke almost immediately. These seem pretty robust and just simply work. Nice colors too. Will be ordering more. So far these card readers are working as described. 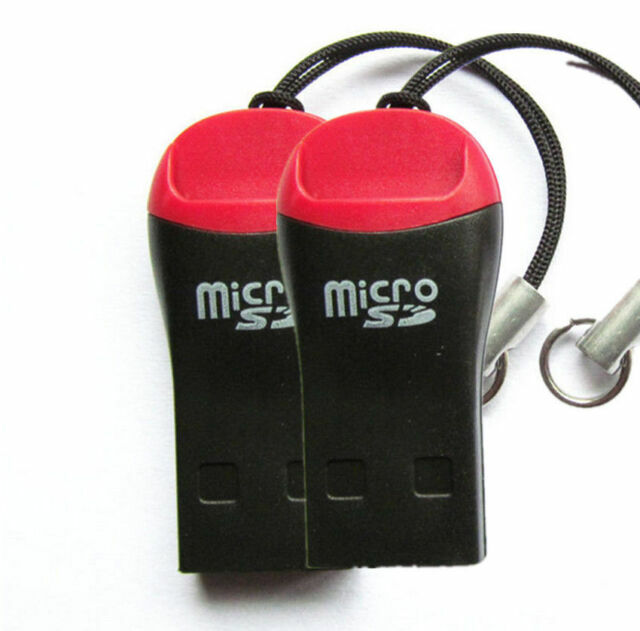 The small size is great for me as I use them as flash drives to transfer data between locations that aren't online.